If there was one venue on the 2015 RC44 championship circuit with a reputation for regular wind, it would be Cascais. 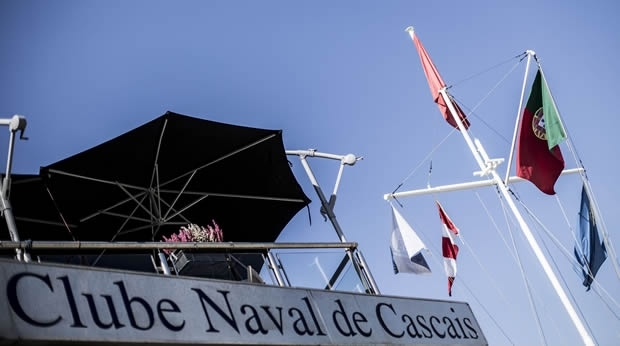 Situated on the Atlantic Ocean at the mouth of Portugal's Tagus River, the venue is pretty and offers friendly inhabitants and good food, but for sailors its main attractions are the strong prevailing northwesterly winds and the Atlantic swell that typically rolls in. For race managers, the venue is usually so good they can almost dial in the wind strength they want, according to how far around the corner from Cascais and out to sea they set up their course. Sadly the unseasonably fine weather the UK and northern Europe is enjoying this week is taking its toll on those further south, turning this part of the Iberian Peninsula into an isobar-free zone. As Principal Race Officer Peter Reggio explained, (edited for expletives…): "Today was even worse than predicted. It was forecast to be strange, but no one thought it would be non-existent. It filled in three or four times and we got hopeful, but each time it went away. In the end we had 000. In four years of coming to Cascais it is the first time we've had no breeze." The situation was confirmed by America's Cup winning helmsman, Ed Baird, calling tactics here on Hugues Lepic's Aleph Racing. "Today it was forecast to be light. Our guys thought there would be 5-6 knots, but it only got up to 2-3. There's been little puffs along the shore line and tiny little things in here [Marina de Cascais] - you walk around and you feel something and then you walk 5 feet away and there's nothing again. Outside you can usually go out and find breeze. However, every place on the planet has no wind at some point." There being no match racing today played into the hands of Vladimir Liubomirov's Bronenosec Sailing Team. The Russian team continues to hold its two point lead in the rolling 2015 RC44 Match Racing Championship, and now only has the final event of the season, the RC44 Virgin Gorda Cup at the end of November, to defend her position. Liubomirov was wishing they had sailed today: "We have kept our position, but I prefer to sail. We love match racing. This is probably the first event we didn't get to do it." The Russian skipper was surprised by today's conditions. "My first time in Cascais was maybe 10-11 years ago. Never have I had a day here without wind before. It is very unusual to see this. Normally you go one mile out to sea and you have 20 knots or at least 15." Team Aqua was hoping to regain some ground on Bronenosec today. "There were a lot of man hours lost today," confirmed tactician Cameron Appleton. "But it is what it is. We are here and we are playing with something we can't control." As to what lies ahead Ed Baird says the forecast shows conditions tomorrow to be sailable for the opening day of fleet racing at the 2015 RC44 Cascais World Championship and "it is supposed to slowly get better each day with the best breeze on Sunday." Cameron Appleton agrees: "By the end of the week we'll probably see normal Cascais, but the weather is unpredictable." And tomorrow? "Tomorrow is looking quite light again as well, but day by day things can move around a little bit. Let's hope tomorrow will be more exciting than what we have today." However Peter Reggio is not overly optimistic. "Hopefully it will be better than the forecast…"